For 2017, passengers on cybersecurity flights better fasten their seat belts low and tight because we expect severe turbulence. The 45th President of the United States (POTUS) is going to demand that technology firms cooperate with law enforcement and government intelligence agencies. This will set a precedent for governments worldwide, but their Balkanized interpretations will be driven by unique social, political, and religious situations. IoT explodes as a target and a vector for security threats. In a dramatic reversal, public cloud will become a refuge for many enterprises and SMB that are out-gunned by their attackers and unlikely ever to achieve parity, let alone superiority. Prediction #1. The 45th POTUS explodes the cybersecurity market. Data security becomes critical as law enforcement and government agencies get carte blanche for internal and external mass surveillance. Privacy laws are Balkanized according to religious, social, and political beliefs by the US and other countries. Governments increasingly regulate encryption and source code. Major countries use social network profiling to control immigration, business licenses, job prospects, and social services. Prediction #2. IoT drives an exponential growth in security threats. Consumer and surveillance cameras spawn record-breaking DDOS and DNS attacks. National security threatened as cyber war against critical national infrastructure heats up old and cold wars. Prediction #3. Cloud becomes the secure refuge for companies worldwide. Next Generation (N2G) security radically alters infrastructure as appliances are virtualized and hybridized across private and public cloud-based data centers. Except at the high-end enterprise and carrier level, hardware becomes a Kleenex-like disposable. Many small businesses find security too difficult and expensive so they eliminate on-premise appliance and move entirely to cloud-based managed and SaaS security services for predictable costs, lower risk, and better user experience. 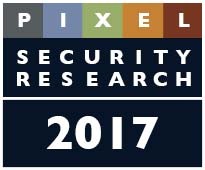 Chris Christiansen's predictions for security have also been published in 2017 Predictions from the Hurwitz Team. Newer PostHow Can You Drive #PositiveSecurity Solutions?